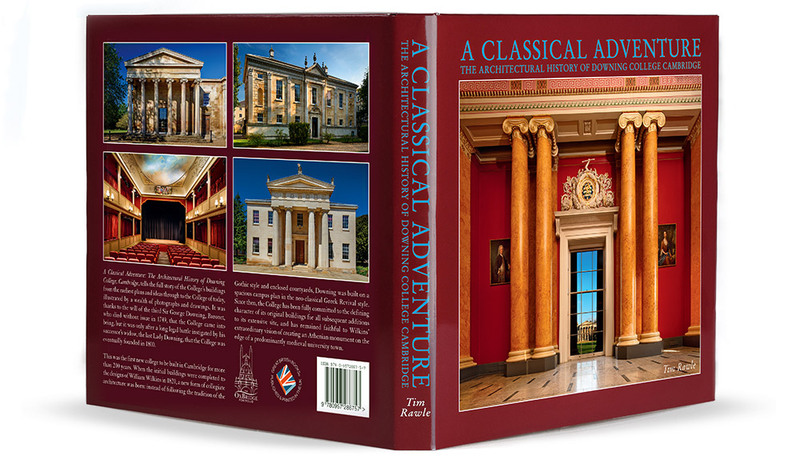 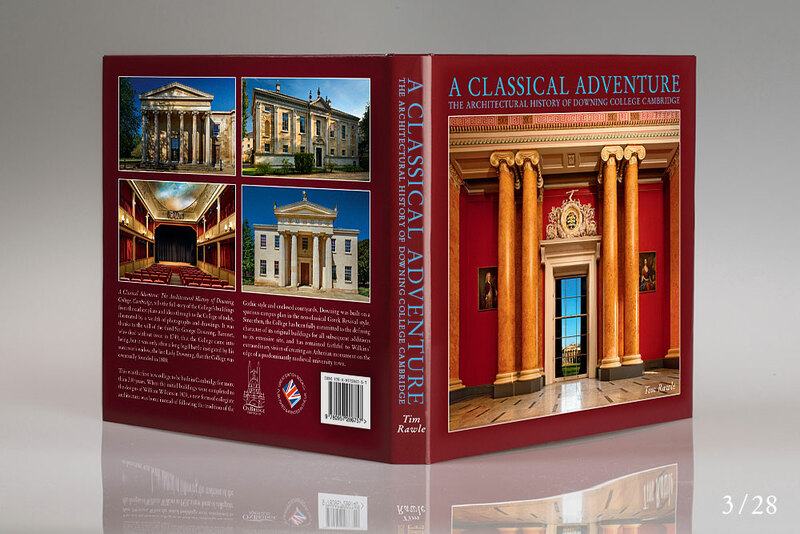 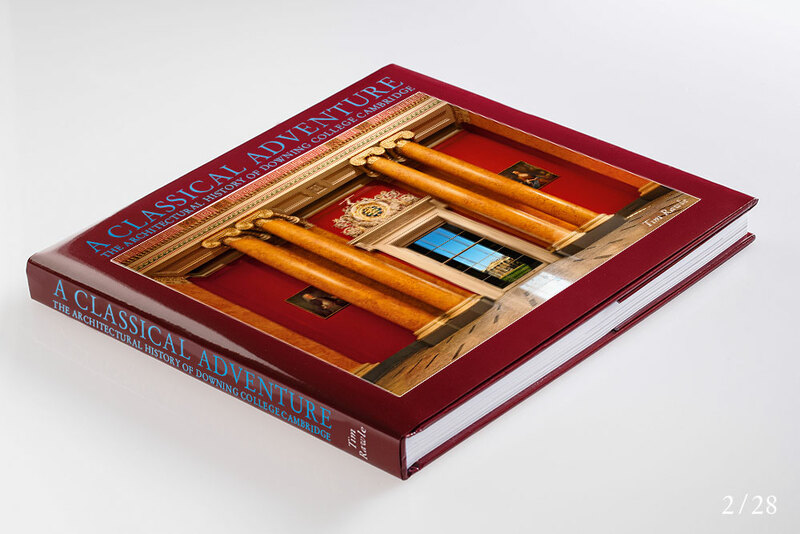 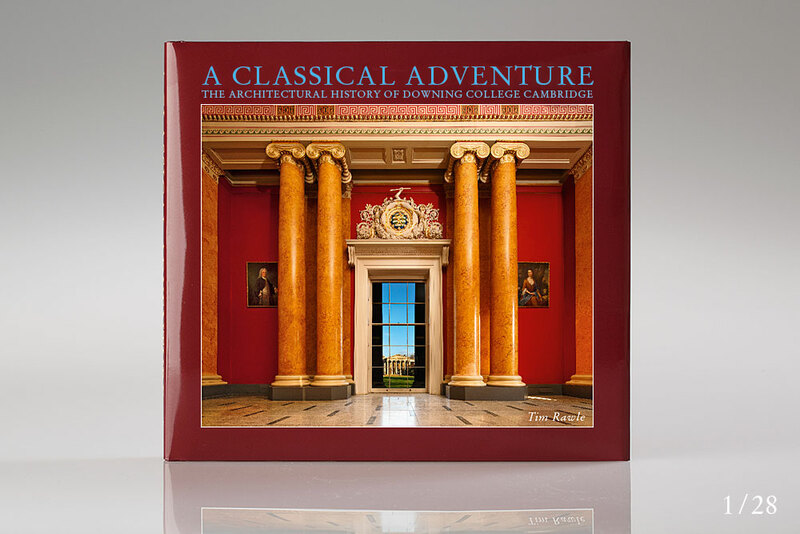 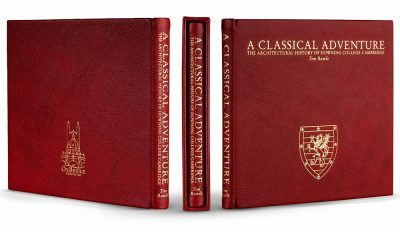 A CLASSICAL ADVENTURE | The Oxbridge Portfolio Ltd. 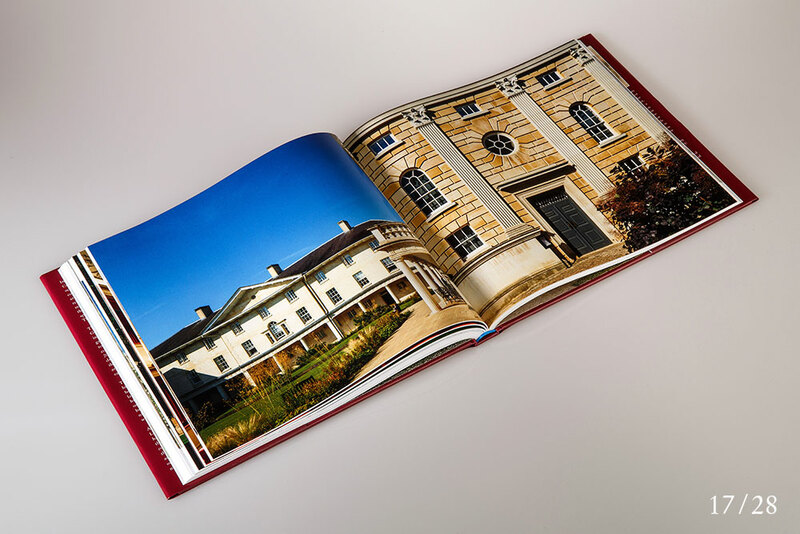 In the story of English architecture, and the history of Cambridge University in particular, Downing College occupies a very special place. 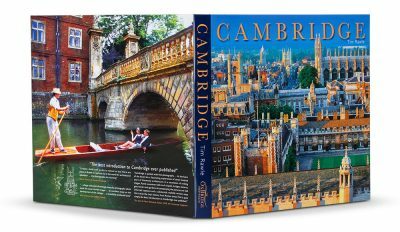 When it was founded in 1800 through the will of the third Sir George Downing, Baronet, no college had been built in Cambridge for more than two hundred years. 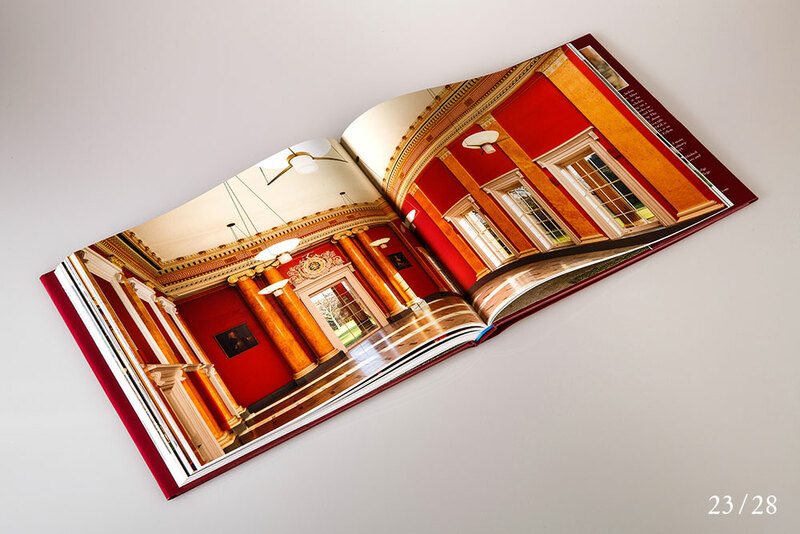 The original buildings were completed between 1807 and 1820 to the designs of the architect William Wilkins, but owing to a long and expensive legal battle instigated by the last Lady Downing, Wilkins’ concept was sadly never realised to its full and magnificent potential. 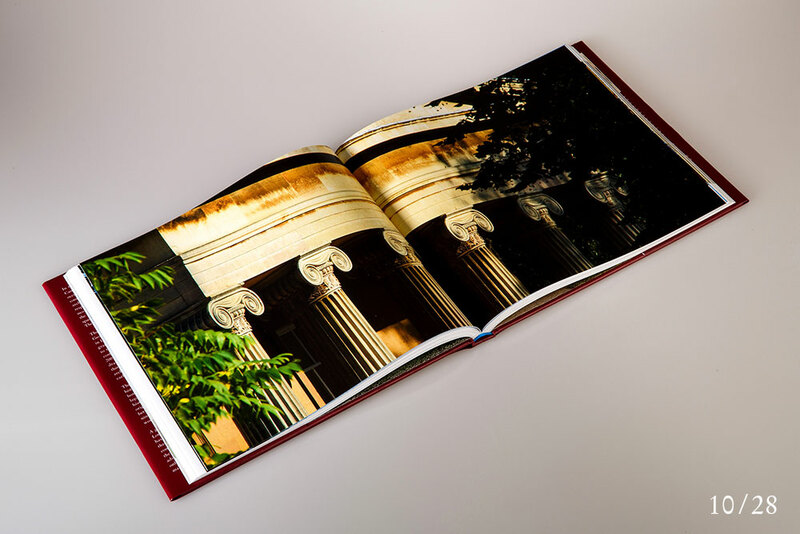 Nevertheless, it was the first major scheme in England to be built in the neo-classical Greek Revival style, and it was the first instance of the spacious campus plan in collegiate architecture. 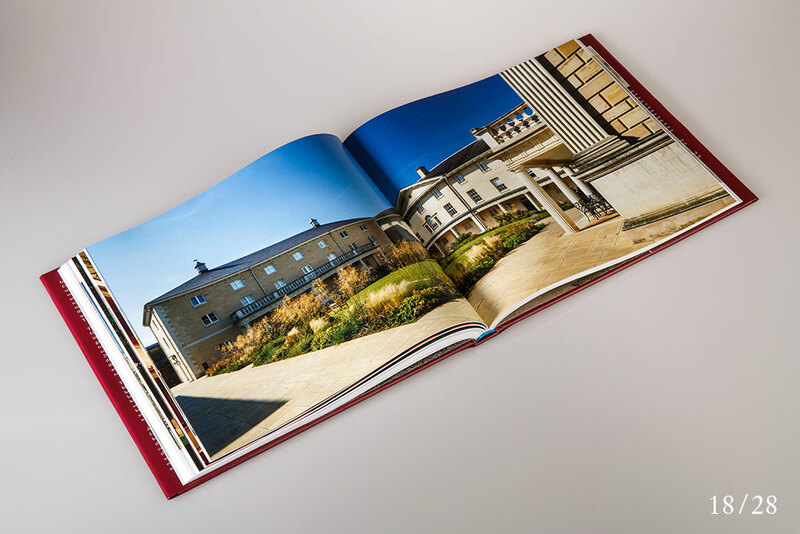 For the last two hundred years the College has been on an exciting classical adventure, fully committed to the defining style of its original buildings for all subsequent additions to its spacious site in the centre of Cambridge. 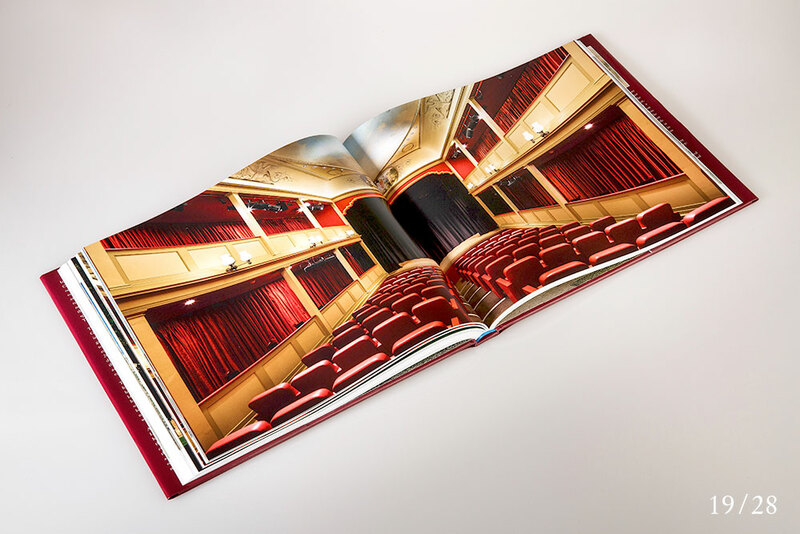 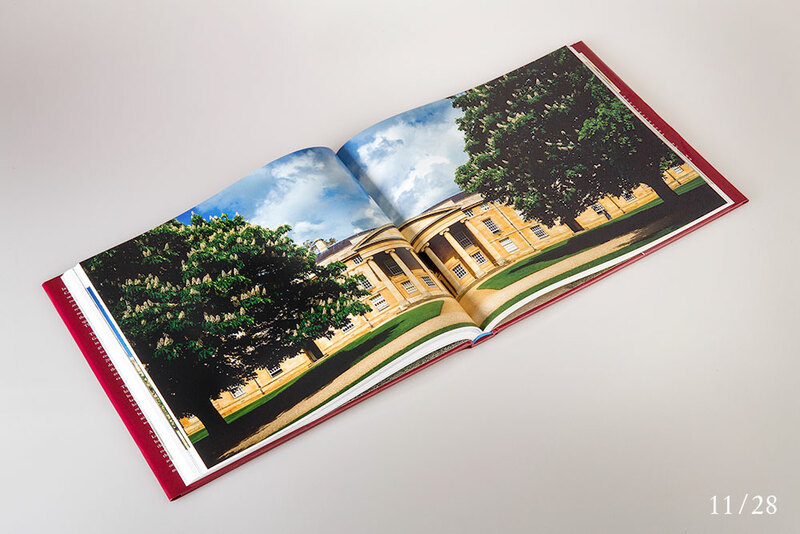 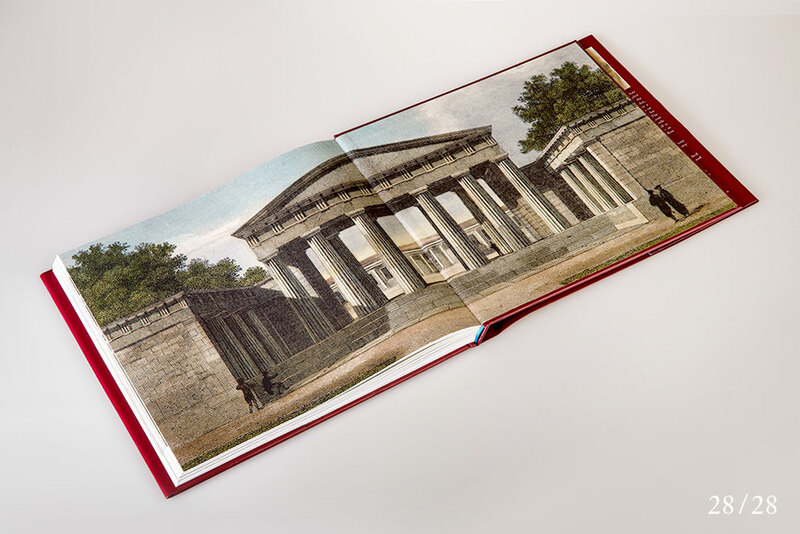 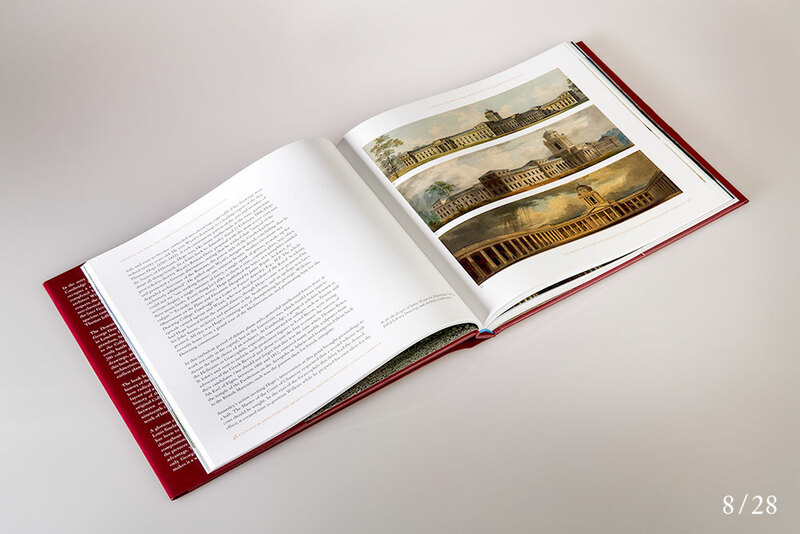 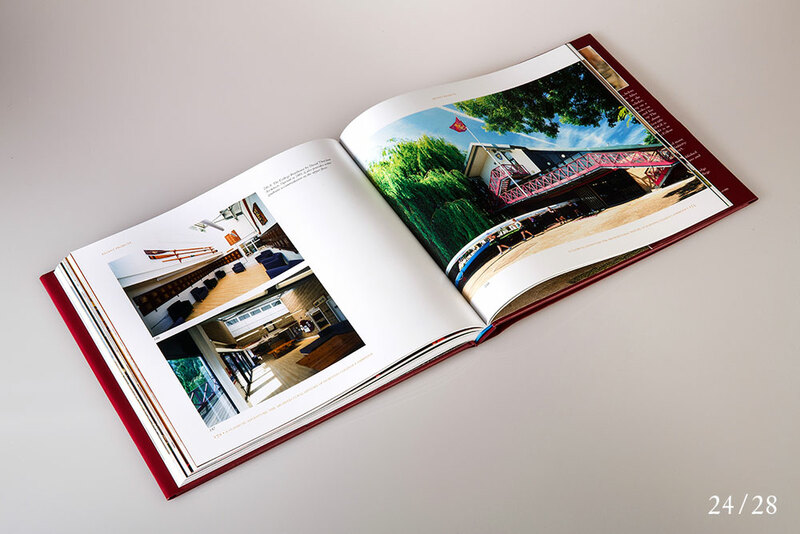 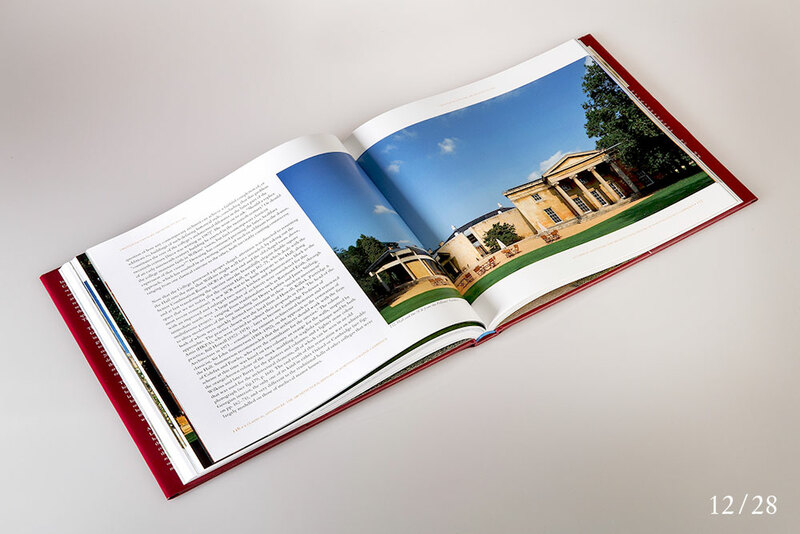 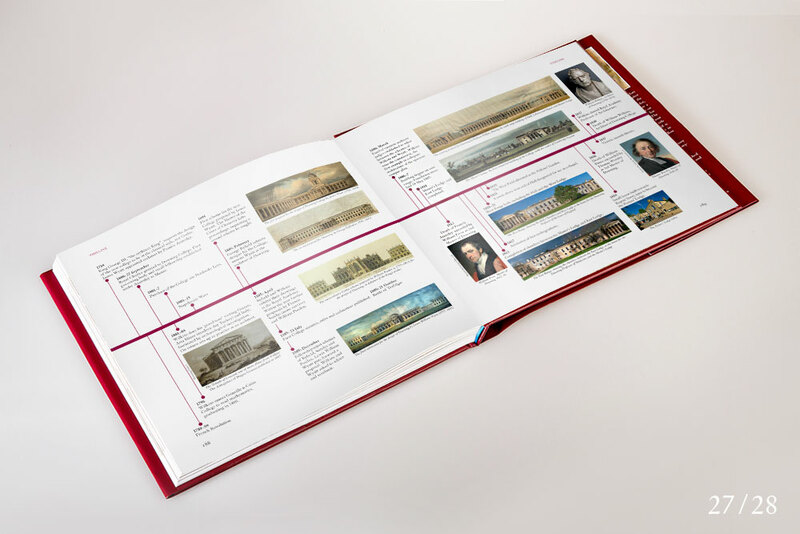 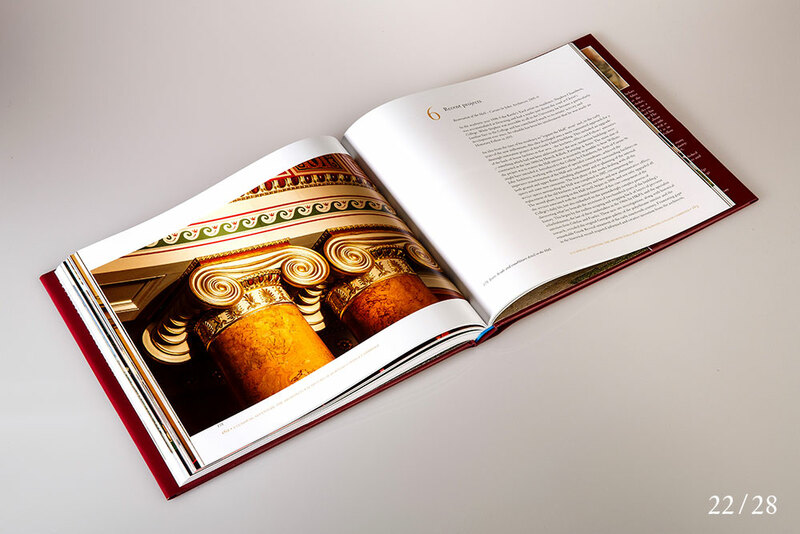 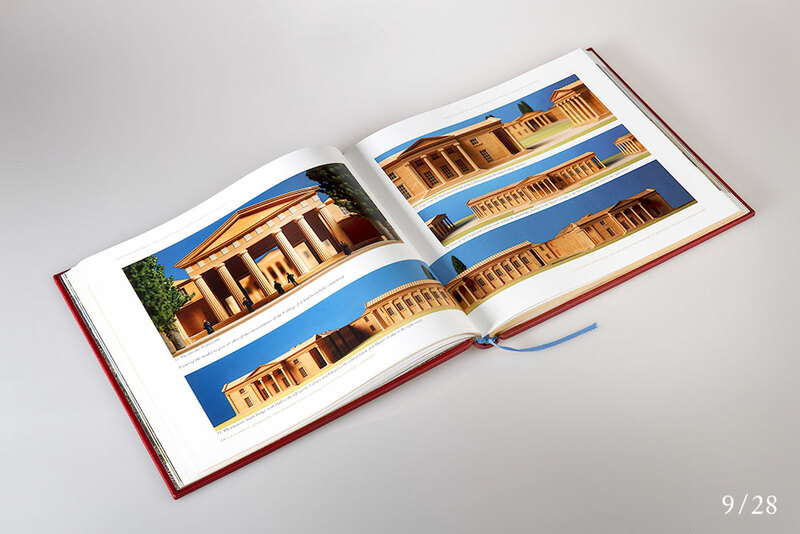 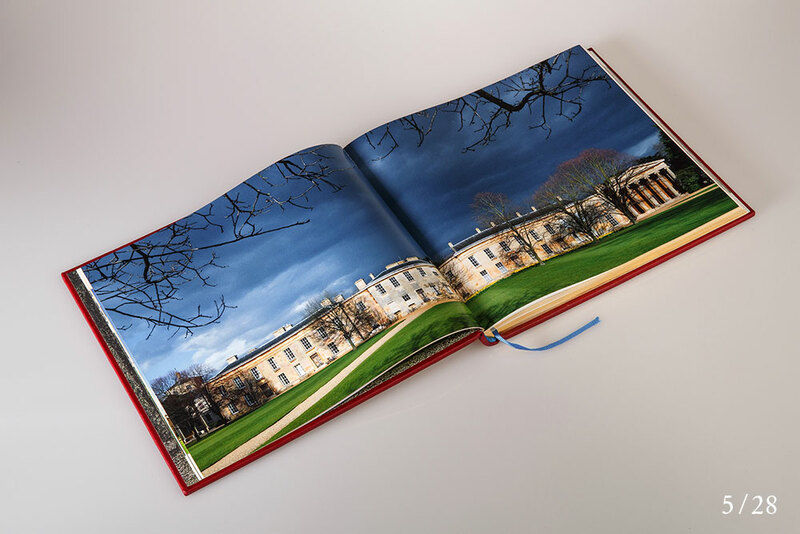 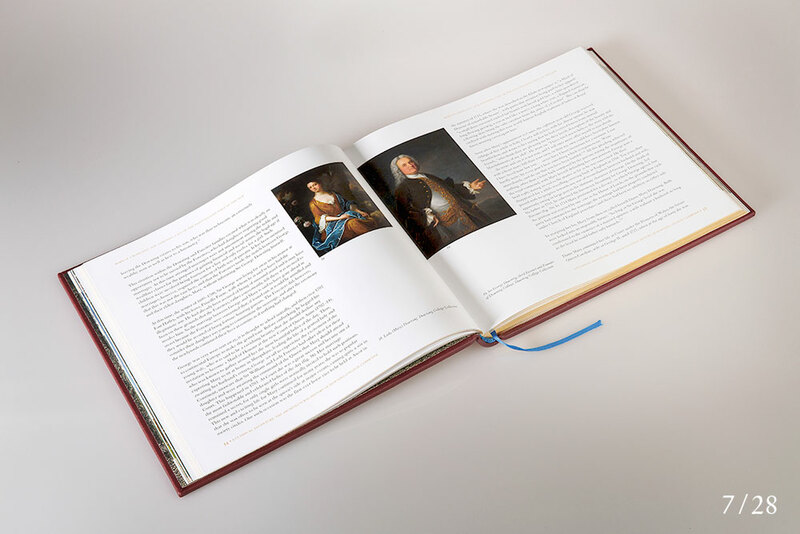 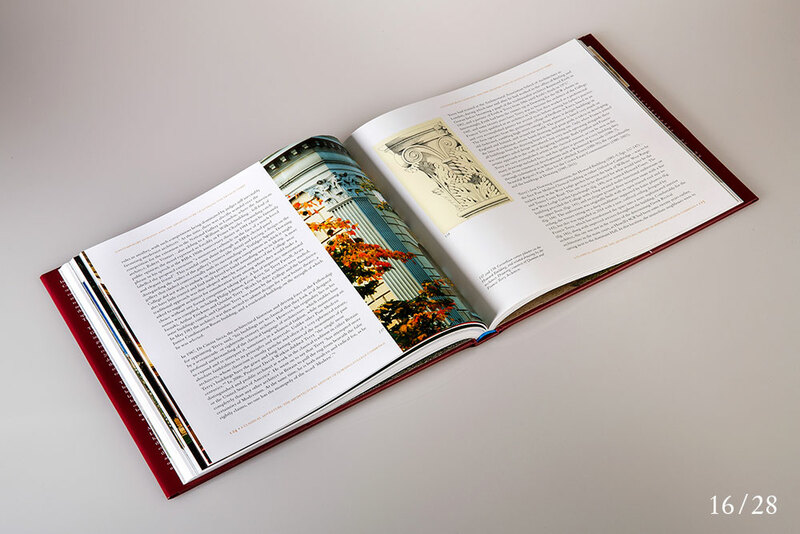 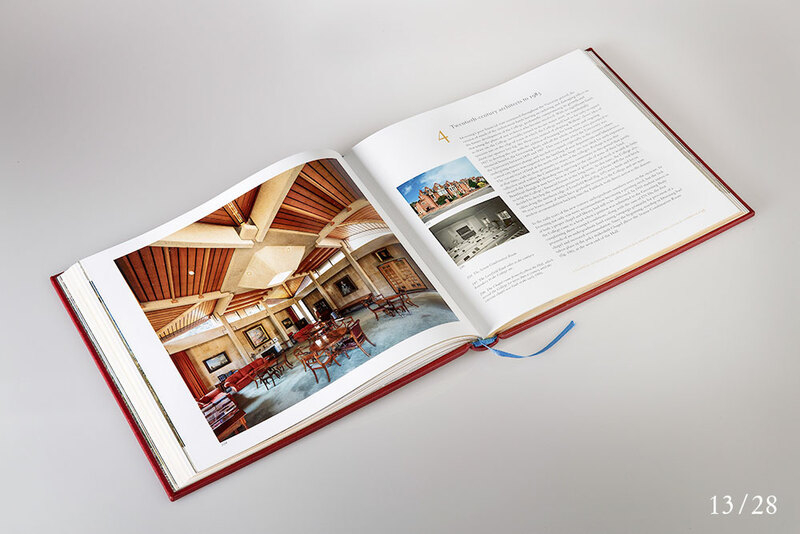 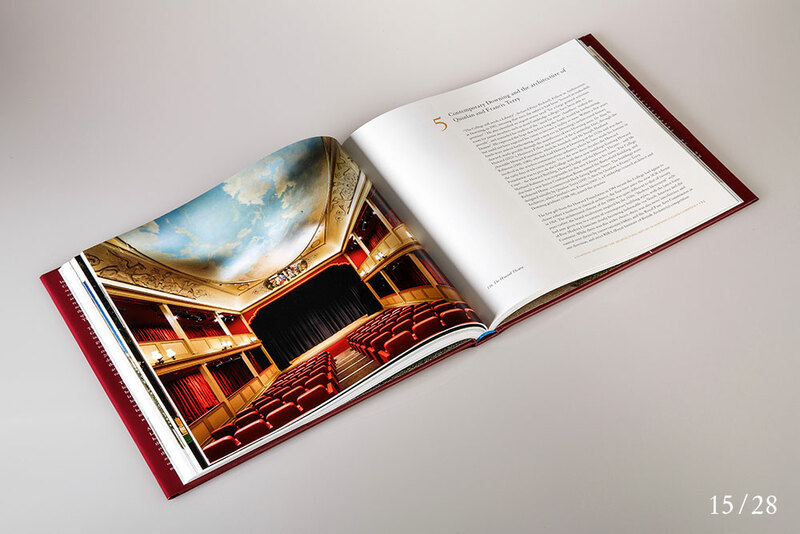 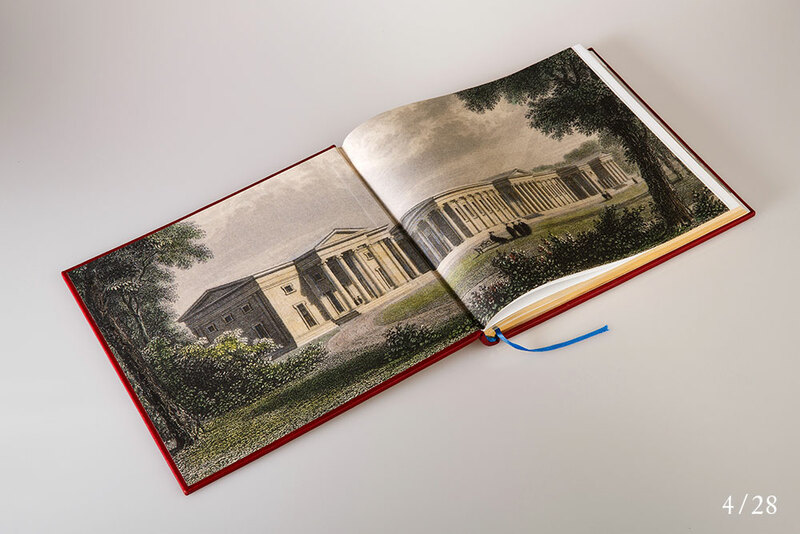 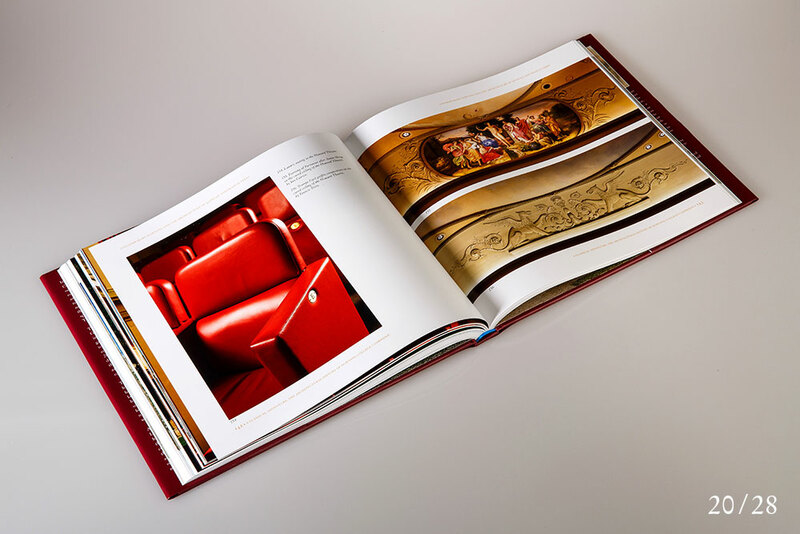 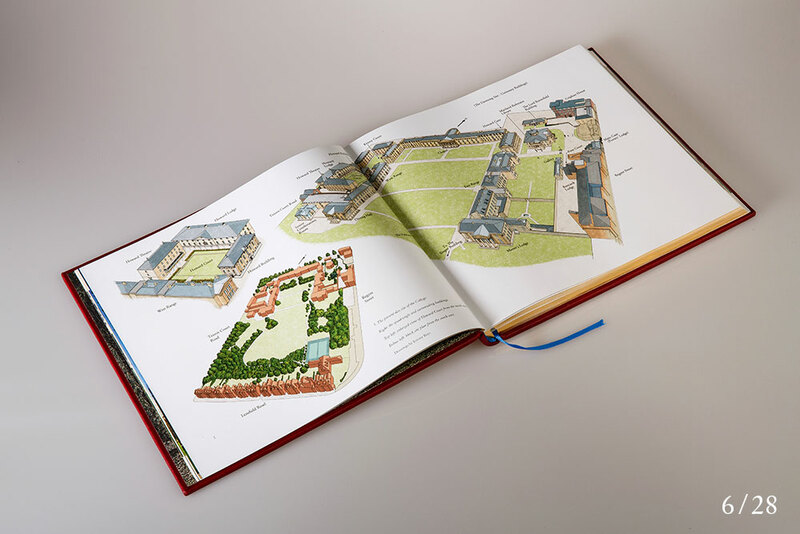 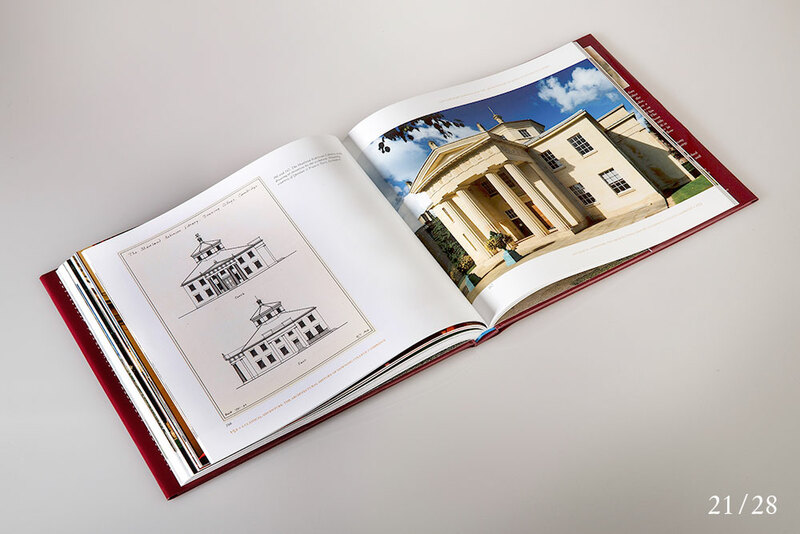 Commissioned by the Howard Foundation, this is the first book to set Downing College fully in the context of the history of Cambridge architecture, and to tell the story of its buildings from the earliest plans and ideas through to the college of today. 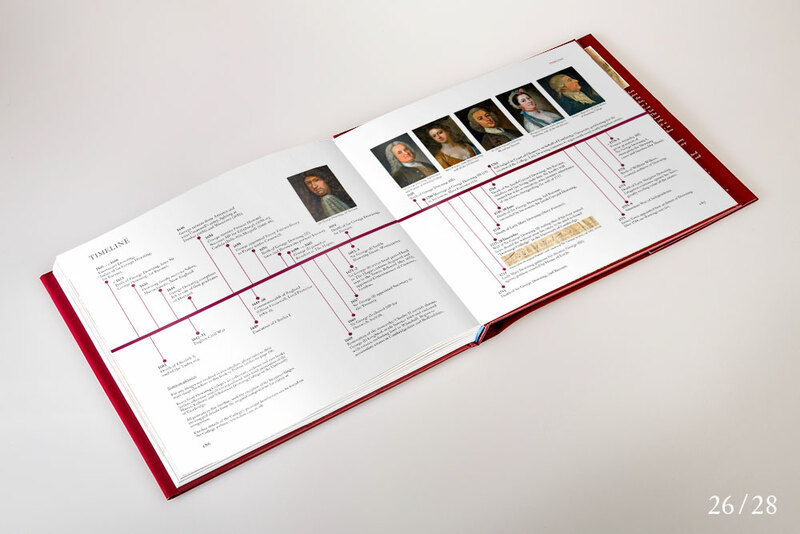 A new, second edition of the book was published in July 2018, as here shown. 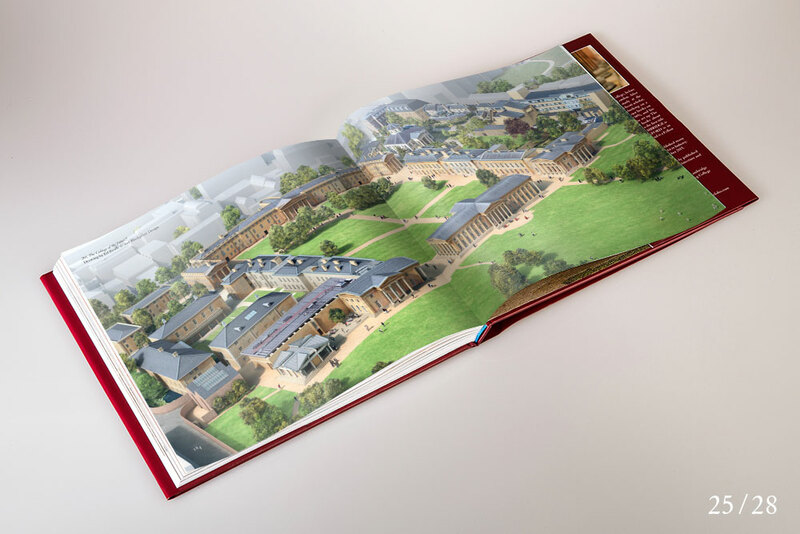 The main new features are a highly illustrated Time Line running over eight pages, and a stunning new aerial perspective drawing of the contemporary college site that also includes the original South Range of Hall, Library and Chapel intended by the architect, but which was never built.